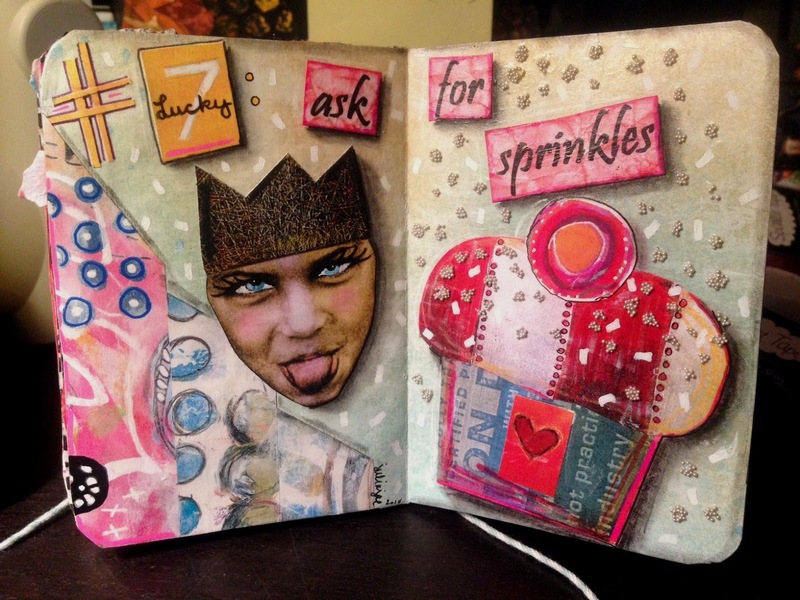 So, this is the 1st time I've broke out my Gelli Plate and done this on my own. 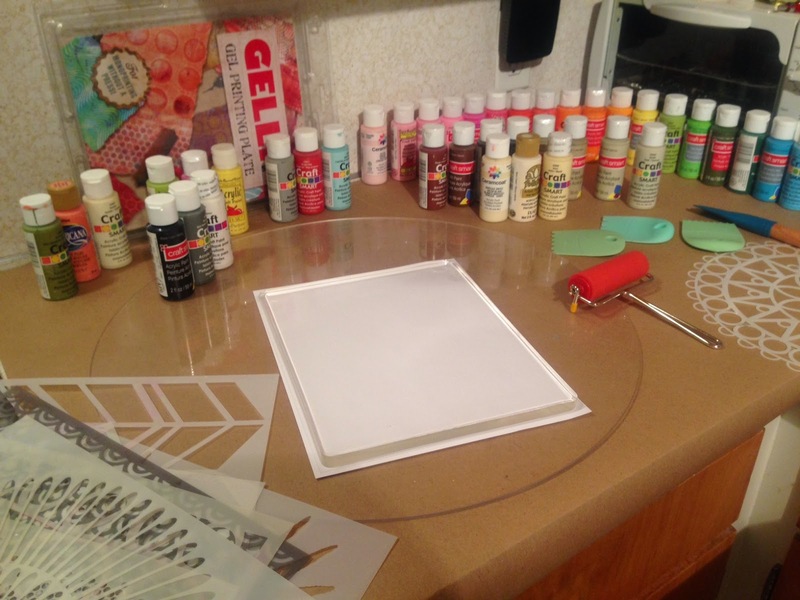 One of the videos said when you start out, take a ton of cheap paper and and all of the inexpensive paint you have on hand. I started with the premium laser paper just in case there were any prints I actually wanted to use. For good measure, I added a bunch of manila tags, some envelopes, some deli paper, leftover black paper bits, a little bit of postcard stock, a handful of stencils and my paint shirt. Once I started, I couldn't stop! So many colors! So many layers! So much texture! 6. 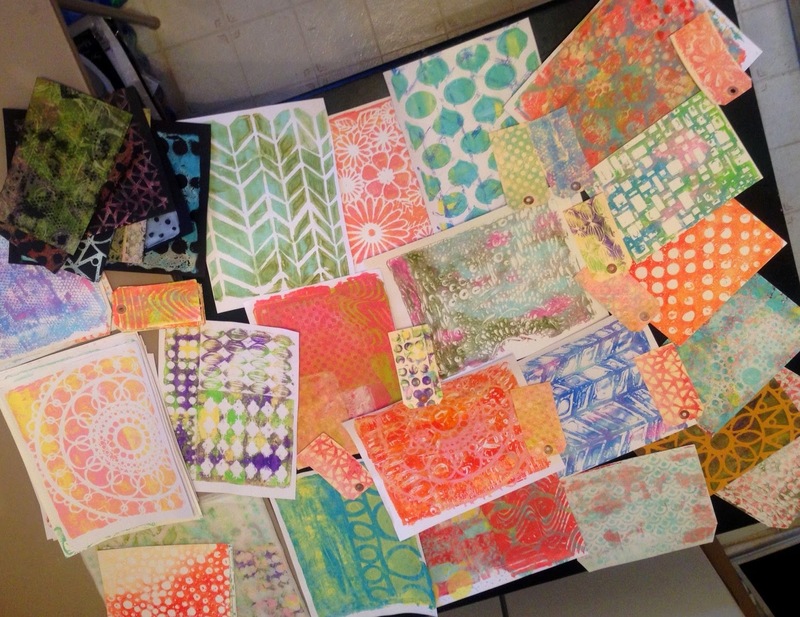 When you're new at this, expect your blotting and brayer cleaning sheet to be one of the best the best "prints"
7. I don't have any purple paint. What's up with that? I had to mix my own. 36 sheets, 30 tags, 9 envelopes, 16 postcards, 6 deli papers, 8 black cardstock. Looks like it's time to do some stamping and doodling. The first post on a blog sets the tone. Watch for better content in the near future! Watermark theme. Theme images by PeskyMonkey. Powered by Blogger.